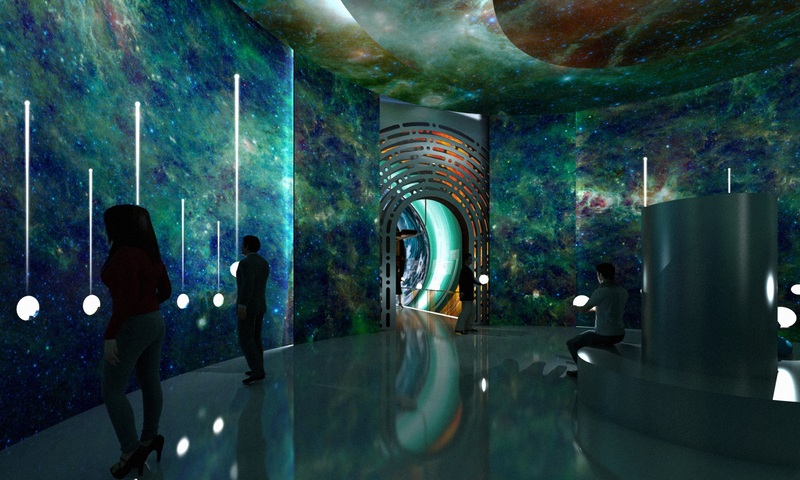 Contest for the Spanish Pavilion at the Universal Expo of Astana based on the theme of renewable energies. 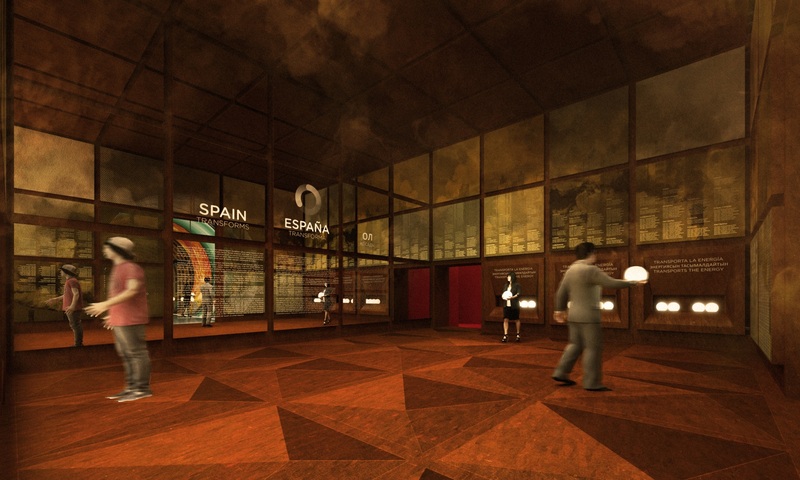 Proposal submitted to the contest for the Spanish Pavilion exhibition at the Universal Exposition in Astana. 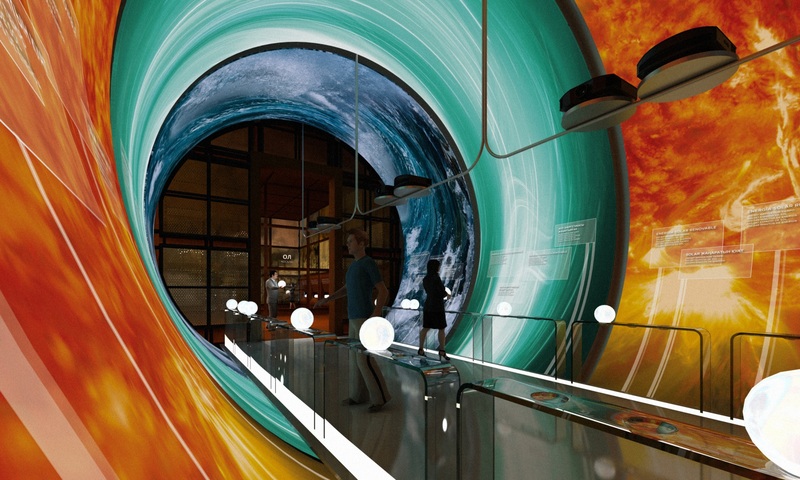 The client was seeking a dynamic, interactive space with the theme of renewable energies. The project consisted in a machine which simulated the processes of energy transformation materialised in the guise of light spheres. 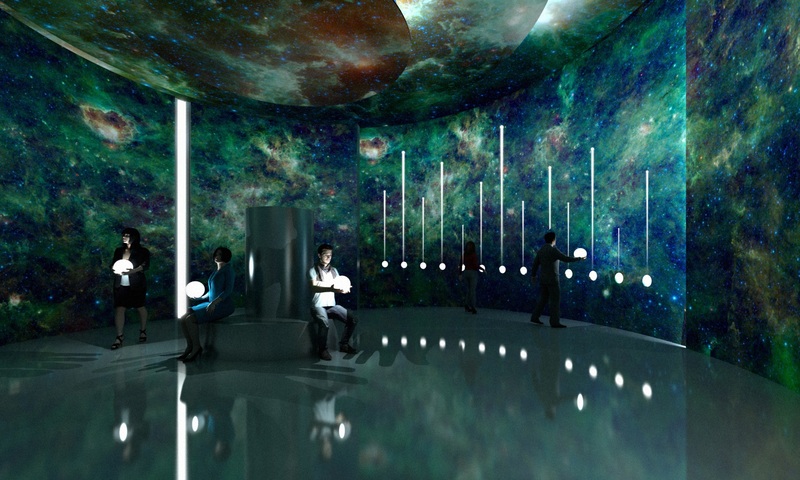 It is a game in which visitors transported these spheres throughout their tour. 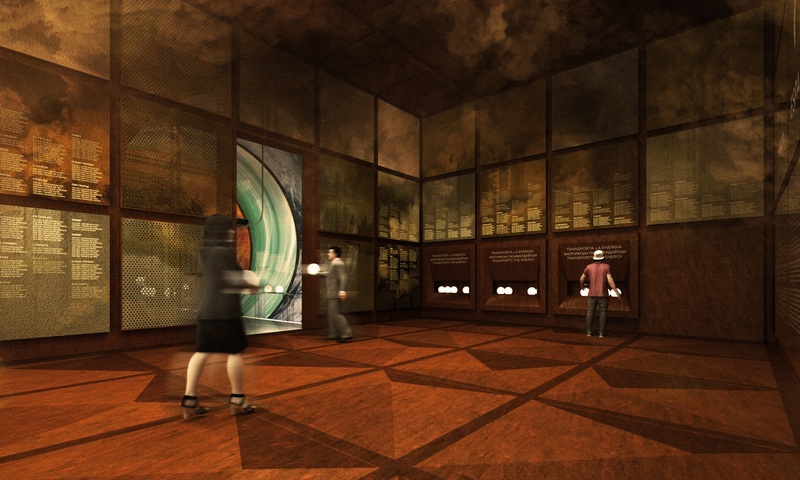 The first gallery was devoted to fossil fuels, which produce waste. It is an industrial-looking space, as if it were located in a refinery with a rusty appearance. The flooring was made of pyramidal slabs which had a subtle inclination to create a sense of instability. Here is where the visitors collected their light spheres. 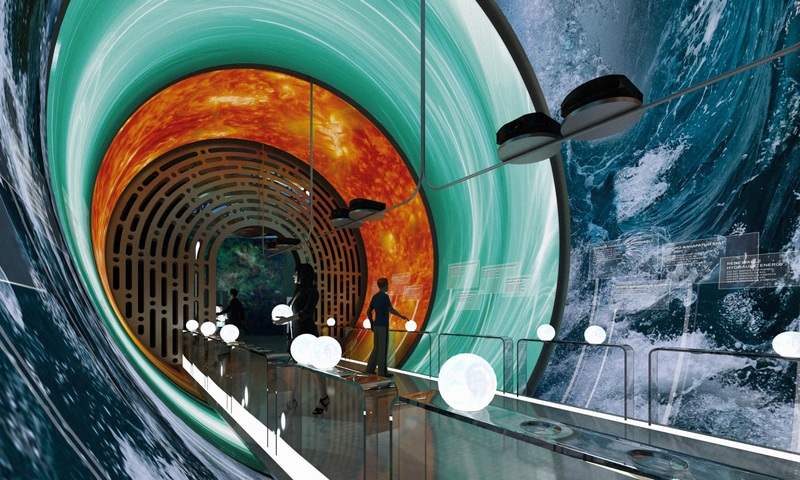 Then there was a tunnel divided into three parts which provided information on the three kinds of renewable energies: solar, wind and sea. The last space was circular and represented the energy of the future, nuclear fusion, the cleanest energy whose technology is still being developed. When they reach this space, the visitors placed their light spheres in holes bored into the wall, and then a line of light rose toward the ceiling and activated a meter. When the level of this meter reached its maximum, a 360º audiovisual show on fusion energy started. Once the tour was finished, there was a lounge area and a timeline on energy technology and how new energies are being studied. 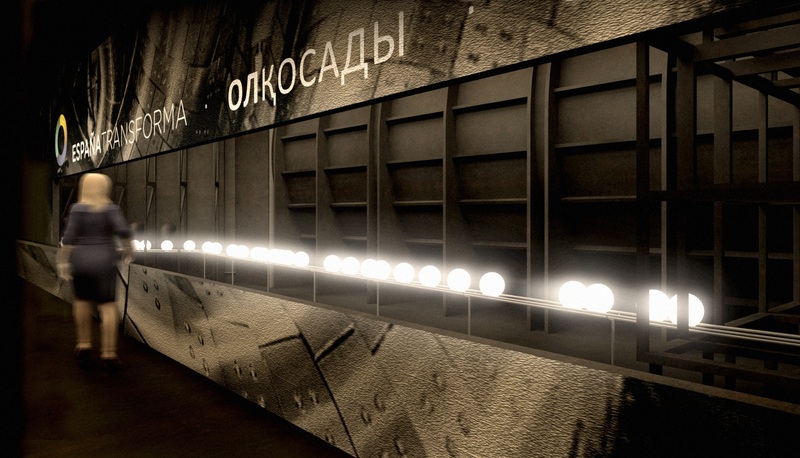 In this area, visitors could view all the machinery behind the scenes and watch as the light spheres went back to their original position in the first area after the audiovisual show. This is an interactive game based on the cycle of energy transformation.